The Christian megachurch, LifeChurch.tv recently announced that over 50 million copies of its free cross-platform Holy Bible app have been downloaded. The Holy Bible application is available for mobile smart devices including the iPhone/iPad, Android, BlackBerry, KindleFire, and Windows Phone. The Holy Bible app is based on the web client YouVersion.com, which was developed back in 2007 by Bobby Gruenewald. The mobile version, launched in 2008, includes free access to the modern English translations, as well as well as 13 other languages including the Spanish, Arabic, French, Japanese, Romanian, etc. Special features include keyword search, Twitter and Facebook account connection for posting verses, as well as tools for bookmarking passages, taking notes, and syncing reading back to your YouVersion.com account. Content can be listened to through the built-in audio feature, and each scripture can be linked to the full chapter where it originates. Both the app and website provide a variety of Bible study plans in which users read selected passages each day, marking them off as completed. Categories of plans include devotional, partial and whole Bible study, topical reading, and passages specifically chosen for youth. The app also includes a daily verse that can be shared via the social network, email, or SMS. Gruenewald said in an interview with TechCrunch that about 60,000 scriptures per day are shared on social networks by both Christians and non-Christians. The support page for the YouVersion site answers questions about engaging in the Bible plans, managing annotations, and sharing content. 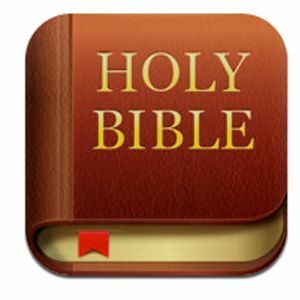 The Holy Bible apps are available for free download from respective sites. Am a lost sheep, but my intention is to save The Highmost God of all creation-JEH0VA, unfortunately, I don't have a bible, please help. God is been good to me til this age so lm very greatful to Him l need a bible for my mobile so l can spread His word wherever l go anywhere everywhere. Am grateful to God for all HE is doing through u. No condemnation for those who a in Christ. Which verssion of bible is best to understand by secondary school leaver who is about to join bible school? The word of God is a true weapon. Oh it is. A deadly one with that. But what's death when you've got an eternal after life, right ? God bless u. Thanks for giving and download freely this Holy Bible. Thank God for all things -- I understand that there are extensive resources available for Christians and it would be interesting to have more articles exploring this area. Tom, thanks for letting us know. Feel free to share some of those resources that you think should be written about.